Adhesive capsulitis, or “frozen shoulder,” is a painful, debilitating condition that severely restricts function and limits your ability to even wash your hair let alone work or recreational activities. How on earth does one get frozen shoulder and what the heck is it? More importantly, how do you get rid of it? It’s something we see a lot at SSOR and we’re here to help you. Frozen shoulder is a condition where the capsule of the shoulder becomes very inflamed and thicker than normal. 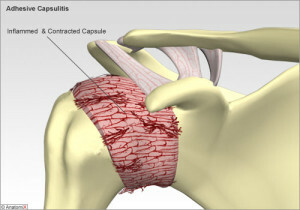 As a result, the joint capsule is, in effect, “shrink wrapped” to the glenohumeral (shoulder) joint. Because of this, range of motion is severely restricted and painful. Frozen shoulder typically affects women more than men, particularly women over 40 years of age. Sometimes frozen shoulder is preceded by trauma to the shoulder, like a fall or after surgery to the shoulder. People with diabetes are at risk for frozen shoulder, and other times, frozen shoulder just happens “out of the blue.” There is some evidence that frozen shoulder is an autoimmune condition whereby the body basically attacks itself and causes this condition. Truly, frozen shoulder is an orthopedic enigma. Frozen shoulder usually affects one shoulder and the shoulder typically feels very tight and is almost completely immobile. The main problem though is very sharp, knifelike pain as the shoulder approaches the end range of available motion. Patients typically present to physical therapy with either a “frozen,” “freezing,” or “thawing” shoulder, meaning there are varying degrees of frozen shoulder. The earlier you catch it, the better. Frozen shoulder therapy basically involves exercises to limit further exacerbation of it or to maintain the motion you have. Doing elevation exercises on your back puts your shoulder in a gravity-eliminated position and are much less painful than in sitting or standing. 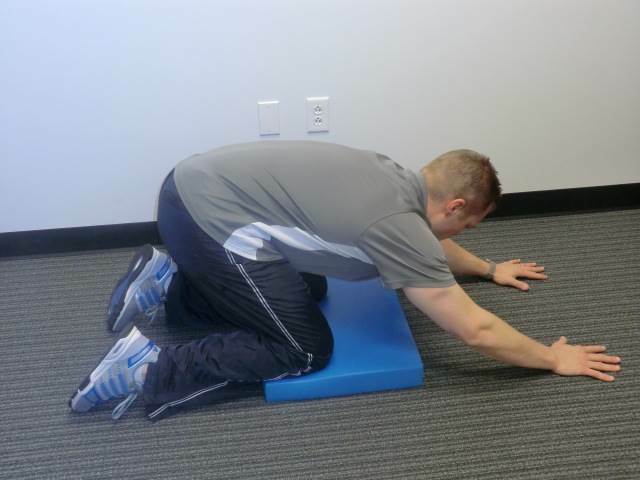 Getting on your hands and knees and rocking back till your bottom hits your heels enables shoulder movement, but the body moving over a fixed shoulder, which is much less painful (See figure below). Doing physical therapy endlessly at a clinic won’t do you much good. You should get supervised physical therapy with a very detailed and comprehensive home program. 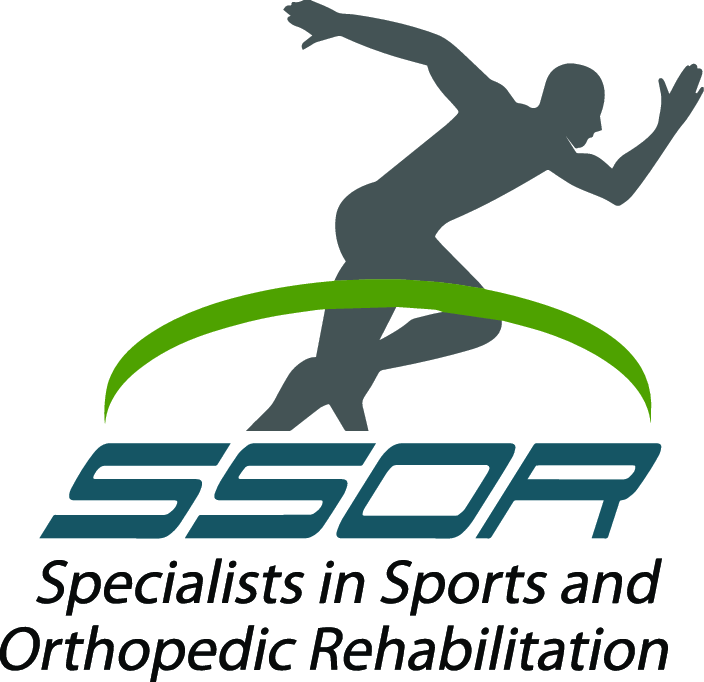 At SSOR, we have specific exercises we use and supplement that with soft tissue and joint mobilizations as needed. We also do a couple of very specific stretches discussed in a paper published in Manual Therapy Journal a few years ago. Can frozen shoulder be prevented? Research hasn’t shown that it can be prevented. However, if a person notices the symptoms above, the faster you start exercises to combat it, the less risk of long-term issues. How long does it take to cure it? This may sound funny, but if you locked up 10 people in a room and told them to come out of the room when the shoulder felt normal, people would walk out anywhere between a few days and a few years. Frozen shoulder truly has a mind of its own and goes away when it wants to. 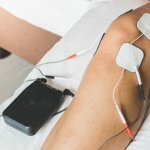 How do you cure frozen shoulder? As of now, there is no “cure” or pill you can take to get rid of it. Anti-inflammatory medications may help a little, but you won’t get much relief. The research doesn’t support manipulation under anesthesia, where an orthopedic surgeon will “force” movement in the shoulder. In fact, it can often make you worse and cause the shoulder to get tighter from scar tissue (and yes, it sounds painful – and it is!). Injections may provide short-term relief, but are not a guarantee. Even consistent physical therapy isn’t necessary – research has shown that a supervised home program will suffice as we stated above. Give us a call if you are dealing with frozen shoulder. We can at least teach you the things to do to minimize the risk of your shoulder getting worse. The physical therapists at SSOR have treated this numerous times and know the most effective interventions to maximize your function. Call for an appointment, (913) 904-1128. Remember, you don’t need a referral from a physician to see a PT in Kansas anymore.